Love & Carrots customizes our gardens to fit a variety of spaces. 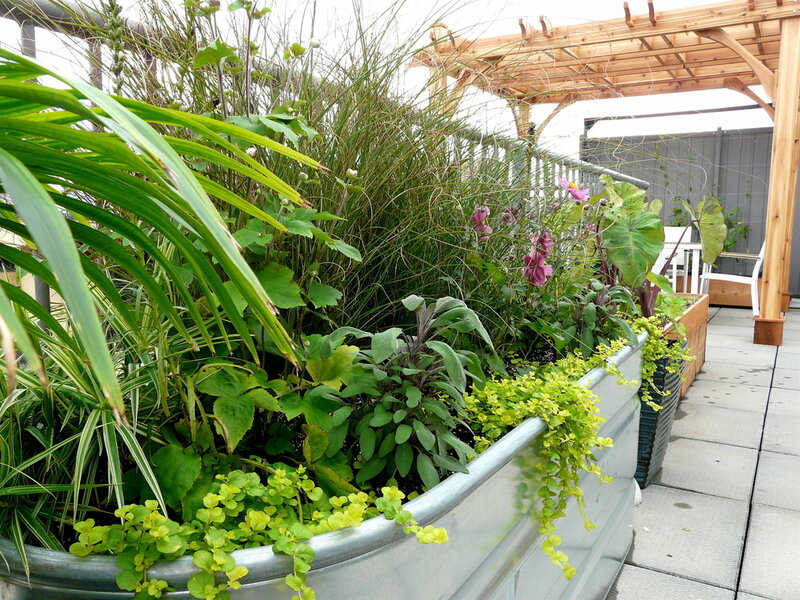 Container gardens are perfect for your deck, patio, or rooftop - and while small, they are certainly mighty. Grow anything from flower and herbs to tomatoes and eggplants even without a yard. Explore some of our beautiful small-space gardens below (click image to expand).